More than thirty million people in the United States are dyslexic—a brain-based genetic trait, often labeled as a “learning disability” or “learning difference,” that makes interpreting text and reading difficult. Yet even though children with dyslexia may have trouble reading, they don’t have any problems learning; dyslexia has nothing to do with a lack of intellect. 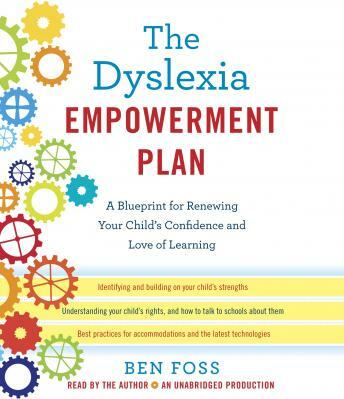 While other books tell you what dyslexia is, this book tells you what to do. Dyslexics’ innate skills, which may include verbal, social, spatial, kinesthetic, visual, mathematical, or musical abilities, are their unique key to acquiring knowledge. Figuring out where their individual strengths lie, and then harnessing these skills, offers an entrée into learning and excelling. And by keeping the focus on learning, not on standard reading the same way everyone else does, a child with dyslexia can and will develop the self-confidence to flourish in the classroom and beyond. • Identify your child’s profile: By mapping your child’s strengths and weaknesses and assisting her to better understand who she is, you can help your child move away from shame and feelings of inadequacy and move toward creating a powerful program for learning. • Help your child help himself: Coach your child to become his own best advocate by developing resiliency, confidence, and self-awareness, and focusing on achievable goals in areas that matter most to him. • Create community: Dyslexic children are not broken, but too often the system designed to educate them is. Dare to change your school so that your child has the resources to thrive. Understanding your rights and finding allies will make you and your child feel connected and no longer alone.